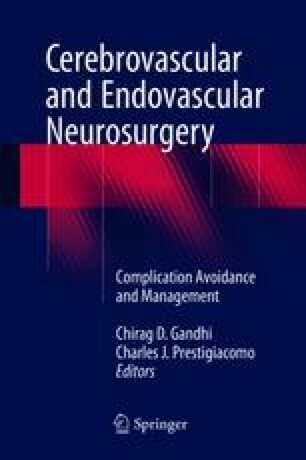 Noninvasive imaging studies to evaluate neurovascular anatomy/pathology such as computed tomographic angiography (CTA) and magnetic resonance angiography (MRA) have advanced significantly over the last few years; but interventional cerebral/spinal angiography is still the gold standard study for vascular imaging, achieving the best quality images and assessing the blood flow dynamics within the brain and spinal cord. There are many indications of interventional cerebral/spinal angiography, including diagnosis and treatment of vascular stenosis/occlusion, cerebral aneurysms, arteriovenous malformations, dural arteriovenous fistulas, malignancy, and multiple other vascular anomalies. Using a systematic, evidence-based approach while preparing for cerebral/spinal angiography can help minimize the uncommon, yet potential risks of this procedure.